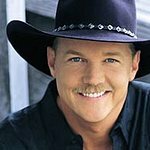 In the wake of a devastating fire that destroyed his own home, country star Trace Adkins is urging fans to donate to the Red Cross to help those who he says are in more need – the survivors of floods and tornadoes that caused hundreds of deaths and millions of dollars worth of damage in the US over recent months. “I have been blessed,” he says. "My kids are OK, my wife is OK. I have my guitar and my songs. Everything else can be replaced.